Interspecies love is always a beautiful thing. 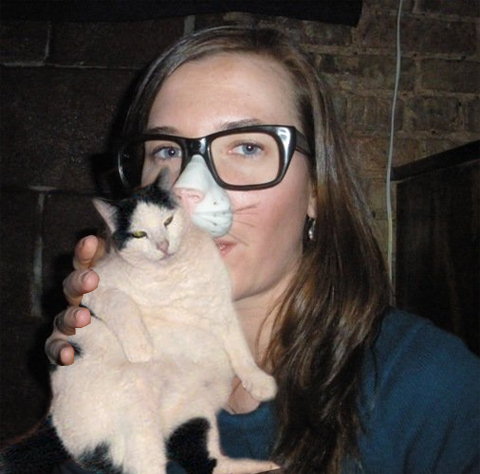 Here my friend Clare is sharing a kiss with a cute little Boozecat. looking good, clare!! that cat could use to drop a few pounds, though, no? when are you coming to france for boozecats bonheur? ?